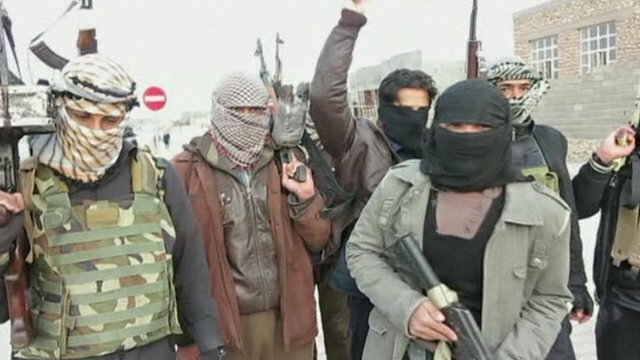 Fears of sectarian civil war in Iraq Jump to media player There are fears in Iraq that the country is once again on the brink of a sectarian war. Some of the heaviest fighting in years is on-going in the west of the country. 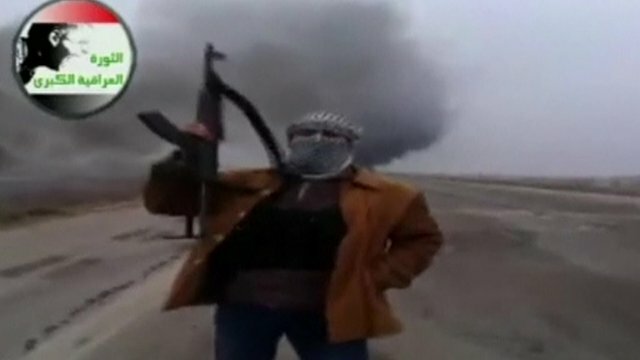 Iraq targets al-Qaeda militants Jump to media player An Iraqi government operation appears to be under way to retake areas seized in recent days by militants linked to al-Qaeda. 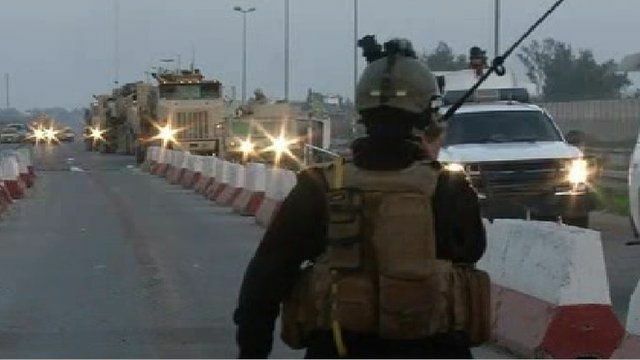 US: 'No boots on ground in Iraq' Jump to media player Iraqi residents inside the city of Fallujah in the western Al-Anbar province have told the BBC that there is an exodus of families to nearby villages and cities to flee heavy artillery bombardment and air strikes by the army. Sunni fighters seize Iraqi city Jump to media player The Iraq government has lost control of the city of Falluja, west of Baghdad, to al-Qaeda-linked militants. There are fears in Iraq that the country is once again on the brink of a sectarian war. Some of the heaviest fighting in years is on-going in the west of the country. Now, Islamist militants who have taken over the city of Fallujah are urging Sunni tribes in the area to back them in their fight against the Shia-led government of Nouri al-Malaki. 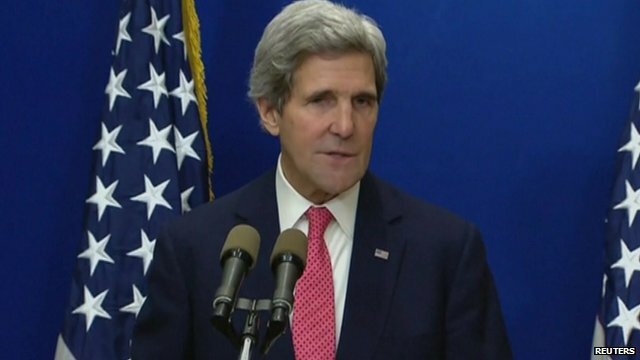 The sectarian conflict is reflected in the struggle for leadership of the insurgency in neighbouring Syria.